Don’t have enough time to game on a PC or Console? Why not check out these awesome smartphone games! 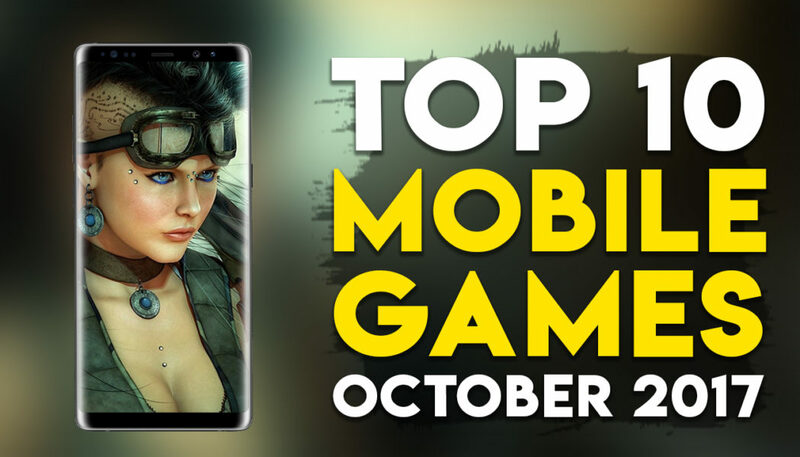 Here are the top 10 best smartphone games of October 2017. We played most of these games on the new Samsung Galaxy Note 8, and to be honest it felt like overkill! This smartphone handles any game you throw at just so smoothly, without any issues whatsoever. If you’re looking for an upgrade, you can not go wrong with the Note 8. It feels light in your hands, and the fantastic display makes for a great visual experience. We played most of these games on the new Samsung Galaxy Note 8, and to be honest it felt like overkill! This smartphone handles any game you throw at just so smoothly, without any issues whatsoever. If you’re looking for an upgrade, you can not go wrong with the Note 8. It feels light in your hands, and the fantastic display makes for a great visual experience.